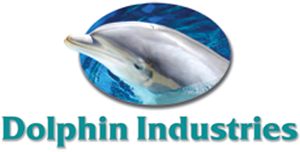 Dolphin Fiberglass manufactures gorgeous, structurally sound fiberglass pools for you and your family. The gel coat we apply to our pools is the finest in the industry. It protects the pool and gives it an easy-to-maintain finish that ensures your pool will continue looking attractive for a long time. The exceptional quality of our product is why a fiberglass swimming pool is the best choice for your backyard oasis. Contact us today to discuss why our fiberglass swimming pools are the right choice for you. We proudly serve Egg Harbor City, NJ.